In general, every hardware device utilising VoIP needs power to operate. The various devices that operate on your VOIP network require a specific amount of energy to work properly. While your phones and computers may not demand much individually, together with switches, routers and the VoIP PBX itself, will require a considerable amount for power if you wish to ensure a considerable time of operation is active in case of power failure. The difference between VoIP PBXs and traditional PBXs is the power requirement. Traditional handsets consume around half a watt of power whereas VoIP handsets consume significantly more due to inbuilt circuitry. To get hours of service in an outage, you’ll need a robust backup Uninterruptible Power Supply (UPS) system. Installing a UPS can be as easy as connecting a UPS between your regular outlets and your network, or as complicated as redesigning an entire network. It will depend on the design, size and complexity of your VOIP configuration. Remaining operational during a power outage is perhaps the only advantage that traditional phone systems have over VOIP. Hosted environments offer a unique ability to remain operational in a Power Outage, all of the Power considerations are taken on by the Data Center. Where there is generally a fully functional industrial UPS system including backup generators that can run the Data Center without the need for mains supply. If configured correctly each extension can be assigned a Mobile Number any calls to the Business can be routed through to the extension either by selecting the extension or by Direct Dial Number, if the extension recognises the Handset is not operational and cannot be reached on the Network, the call is automatically routed to the Mobile number for that extension. This is one way that Hosted VoIP PBX environments can provide functionality that is not available with On-Site VoIP PBX’s unless there is a considerable expense in designing a power supply to ensure the network is functional in any network down situation, due to power outage or disruption. 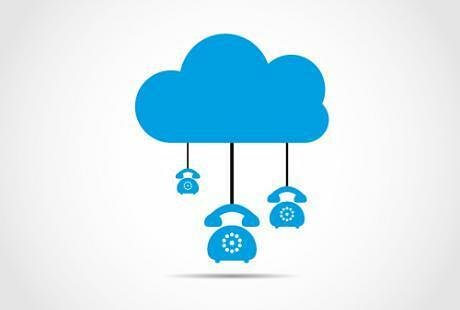 To see how a PBX Cloud Hosted service would suit your business call us on 0800 RADICALL.